Demoralized Democrats have a road map for success in Trump’s America. It was written by Jesse Jackson. Jesse Jackson first ran for president during the national farm bust of the early 1980s. Debt for farmers had exploded from $85 billion in 1976 to $216 billion in 1983, with little relief in sight. As Jackson laid the groundwork for his 1984 campaign, the crisis had become so acute that he often found himself preaching his “populist Pentecostalism”—to borrow a phrase from biographer Marshall Frady—to large audiences of angry white farmers in the Midwest. It was an almost unbelievable circumstance for an unusual candidate who had to make unlikely alliances if he wanted national traction. 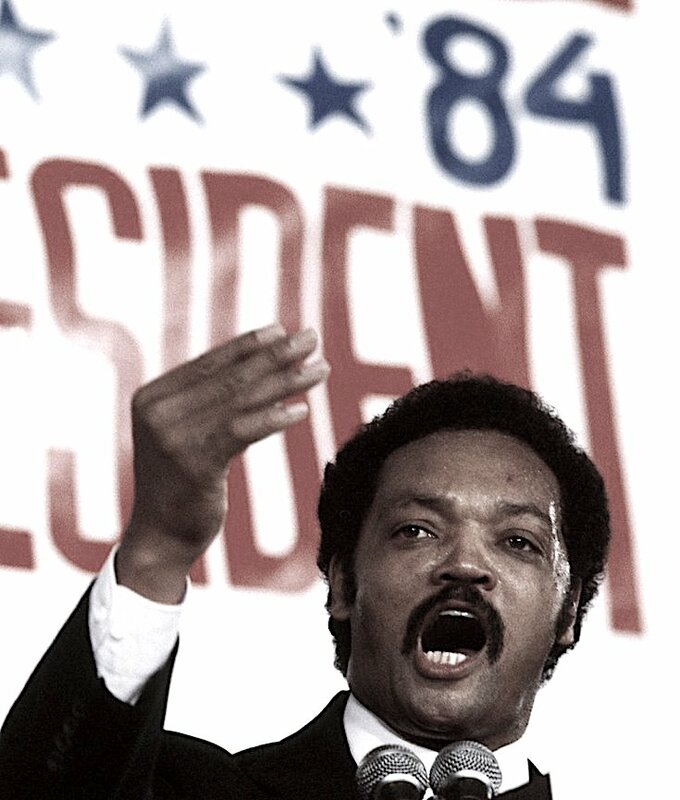 In 1984, Jesse Jackson became the second African American (after Shirley Chisholm) to mount a nationwide campaign for President of the United States, running as a Democrat. In the primaries, Jackson, who had been written off by pundits as a fringe candidate with little chance at winning the nomination, surprised many when he took third place behind Senator Gary Hart and former Vice President Walter Mondale, who eventually won the nomination. Jackson garnered 3,282,431 primary votes, or 18.2 percent of the total, in 1984, and won five primaries and caucuses, including Louisiana, the District of Columbia, South Carolina, Virginia, and one of two separate contests in Mississippi. As he had gained 21% of the popular vote but only 8% of delegates, he afterwards complained that he had been handicapped by party rules. While Mondale (in the words of his aides) was determined to establish a precedent with his vice presidential candidate by picking a woman or visible minority, Jackson criticized the screening process as a “p.r. parade of personalities”. He also mocked Mondale, saying that Hubert Humphrey was the “last significant politician out of the St. Paul–Minneapolis” area.